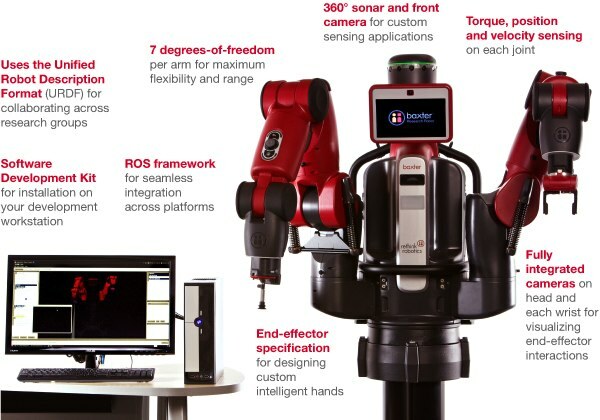 Rethink Robotics has announced the availability of a bundle, called the Baxter Research Robot, which includes their Baxter robot and a Software Development Kit, for US$22,000. While there may be non-obvious differences, the robot itself appears to be identical to the Baxter Robot Rethink introduced last year. The SDK requires Ubuntu 10.04 LTS and ROS Electric.